Malcolm S. Boyd | Attorney | Ott Cone & Redpath, P.A. Malcolm works with medical professionals, hospitals, and healthcare systems to enhance their finances. Specifically, Malcolm focuses on improving Medicaid reimbursement and addresses other aspects of the billing and collections process. Before law school, Malcolm worked in a medical practice where he managed various office functions including Medicare and private insurance billing optimization. 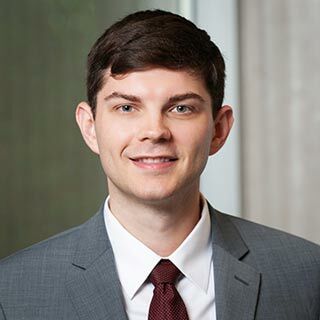 As part of his practice philosophy, he combines business concerns with legal solutions to deliver efficient and actionable advice.